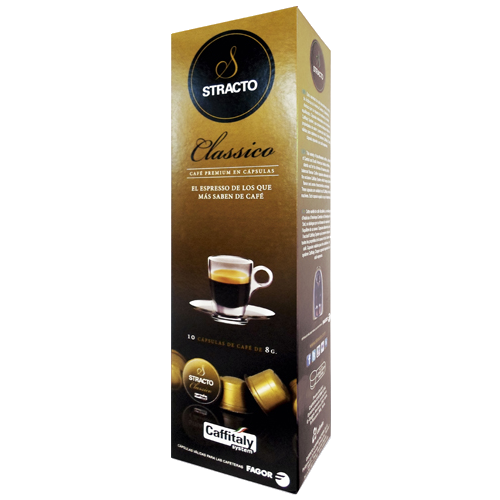 Stracto Classico Caffitaly coffee capsules is as the name says a classic espresso. Powerful yet smooth, some discreet yet marked classically austere. This is actually our favorite in the range a daily good coffee, a really nice coffee. Try it with a small splash of milk as they do in Spain, con Lecce! These capsules are made of Spain's perhaps best coffee roaster Cafento which has been making coffee since 1939.